The Letter in an ongoing project of the campaigning group Beyond GM. Young’s endorsement comes during a sold-out 2-month European tour to promote his anti-corporate album The Monsanto Years, and brings the Letter to the attention of his millions of fans worldwide. Throughout his career the Canadian rocker – who is amongst only a few who have been inducted into the Rock & Roll Hall of fame twice – has used his music and fame to shine a light on political and environmental issues that are close to his heart. He’s protested the tar sands projects in Canada, initiated a boycott of Starbucks until they stop using GMO milk, and told Donald Trump to stop using his songs to promote his presidential campaign. 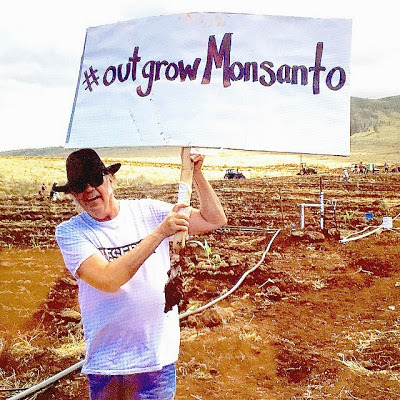 Young is currently in the middle of an EU-wide summer tour, promoting his album The Monsanto Years – an album with a strong anti-corporate theme featuring songs exploring global hunger, pesticides, GMOs, seeds and ecology. He is also promoting another new album Earth – a series of live recordings from his concerts in the US interwoven with sounds from the natural world. As a way of underscoring his belief in the power of activism, Young has also brought a Global Village of activists with him on his EU tour, giving a diverse group of campaigners and NGOs an opportunity to reach out to the public with their message and materials. He has also recently launched a website, GoEarth.org, based around the groups involved in the Global Village, and intended as a resource for helping people ‘go green’. The Global Village, which has already toured the US with Young, comprises a series of themed tents focussing on GMOs, Earth Ecology, Energy & Climate, Global Justice, Future of Farming, and News You Can Trust. The UK’s Beyond GM was chosen to organise the GMO and Future of Farming tents in the Global Villages throughout the UK and the rest of the EU. Young embarks on the second leg of his EU tour on July 3 in Helsinki. 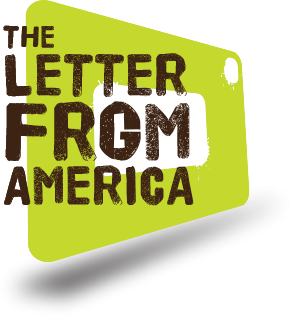 Copies of the Letter from America – which has so far been translated into 13 languages – are being distributed to the public in the Global Villages throughout Europe on the Neil Young 2016 tour.